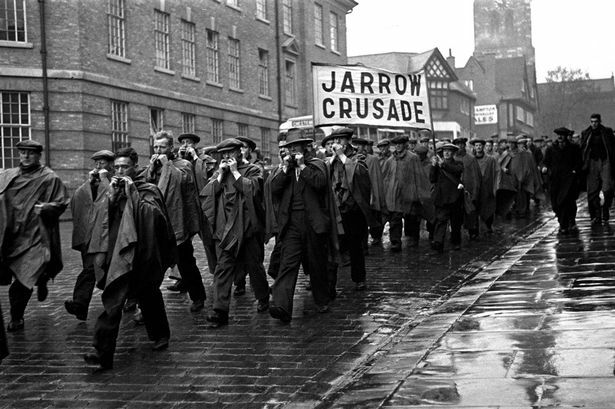 Next year sees the 80th anniversary of the Jarrow March at the height of the Great Depression in England in the 1930s. Some 200 men marched over 26 days from Jarrow to London in October 1936, to draw attention to the devastating impact of economic collapse on their town and community and to seek support from the British Government. It was a complete failure. But after World War II, many attributed the new spirit of social reform to the memory of Jarrow and other protests like it that galvanised the country to never again allow such suffering in its midst. I have a suggestion for the Greeks: pick 200 (or maybe '300' would be more appropriate?) to march (or lead a motorcade) from Athens to Berlin, taking in Bulgaria, Romania, Hungary, Austria, and the Czech Republic along the way: a distance of some 2,900 kilometres. Calling on the support of political parties and communities in the countries they pass through who in turn are opposed to 'perpetual austerity' in order to forge a new consciousness across the European Union about what is happening and what needs to be done. It might take longer than the march from Jarrow to London, but the fruits might come sooner too.